Scotlands Ash Garage carries out Air Conditioning systems re-charging, parts replacements, fault finding and system repairs. 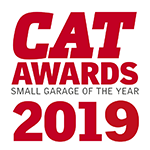 Scotlands Ash Garage has the capability to re-gas vehicle air-conditioning systems using either R134a or R1234YF gas. Modern Heating, Ventilation and Air-Conditioning (HVAC) systems trap moisture. This moisture creates a perfect habitat for mould, mildew and bacteria. Spores from these micro-organisms are blown into the vehicle’s cabin creating a health concern for the occupants. MiST is a professional in–car air quality system that converts an anti-microbial liquid into a nano-droplet mist and effectively treats the entire HVAC system and cabin surfaces, eliminating mould, mildew and bacteria and restoring the quality of air in a vehicle. The service is very easy to perform and works in under 20 minutes.